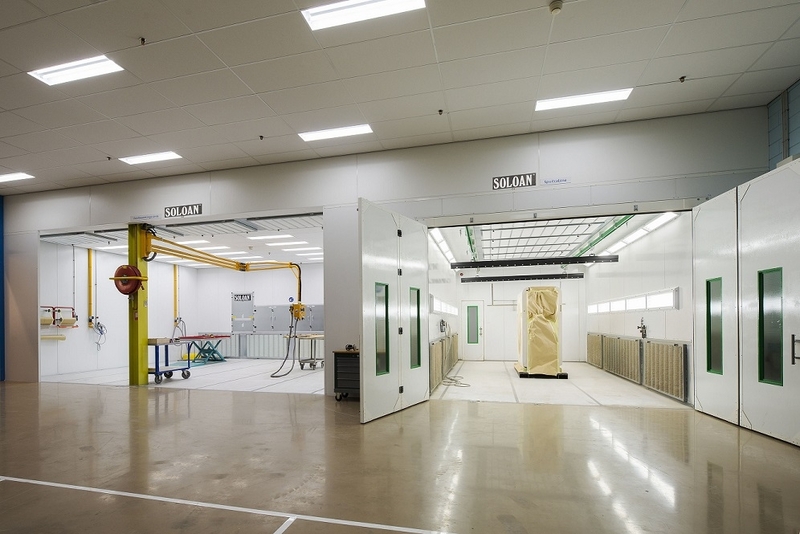 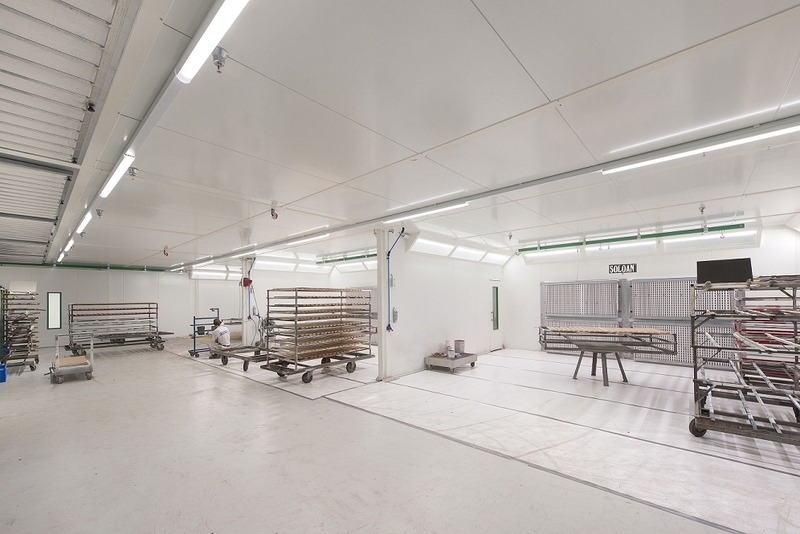 Soloan custom-builds spray booths to a size that enables you as an (industrial) manufacturer to efficiently deliver top-quality finishing. 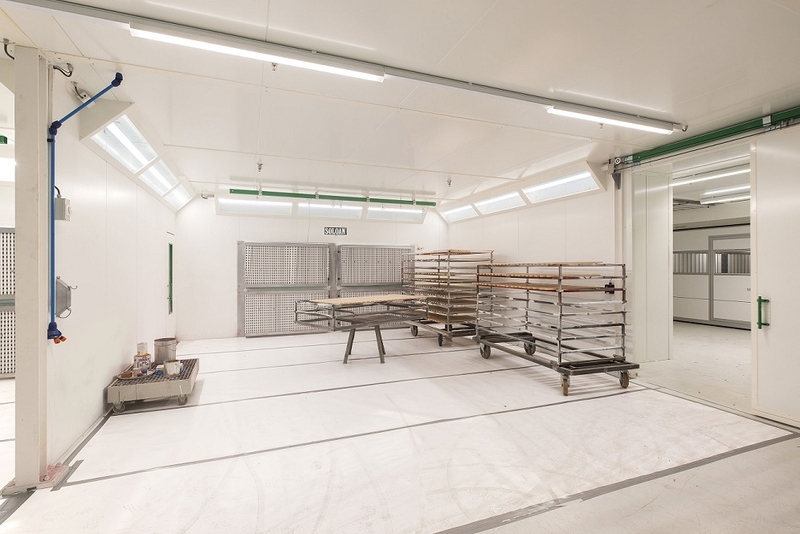 A Soloan spray booth guarantees sleek results. 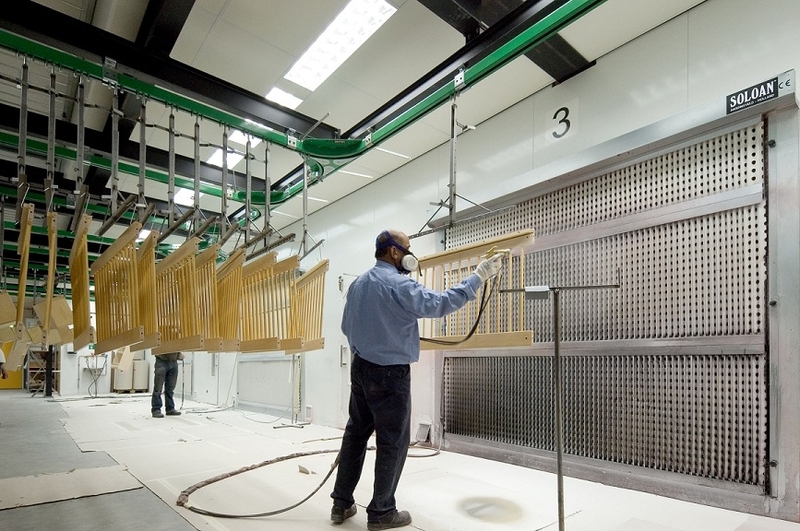 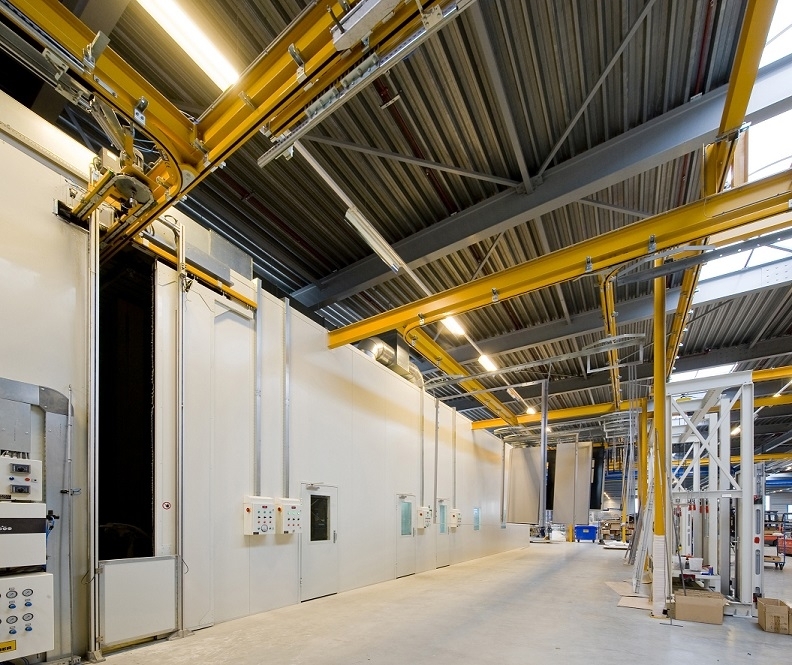 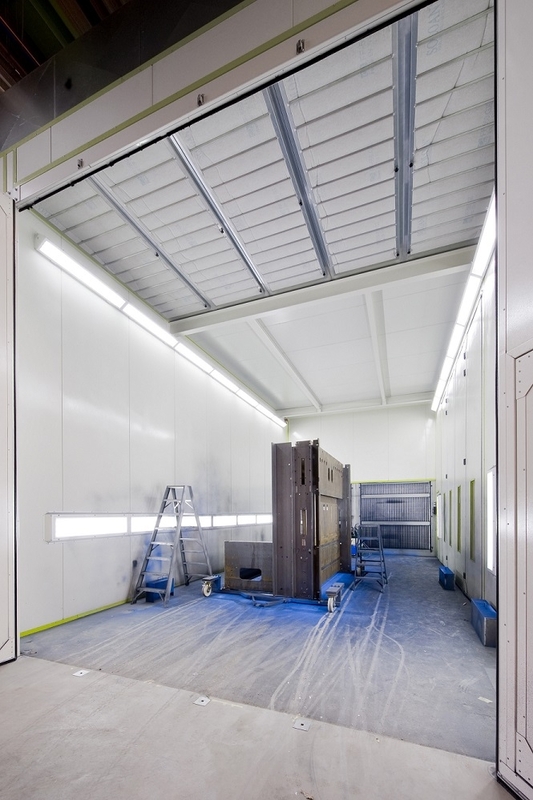 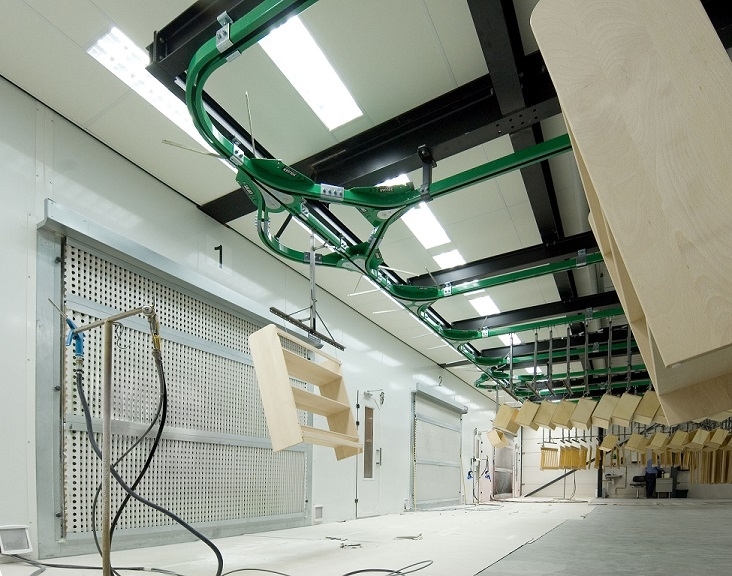 We deliver out spray booths to match your requirements with vertical, horizontal, diagonal or double-diagonal airflow. 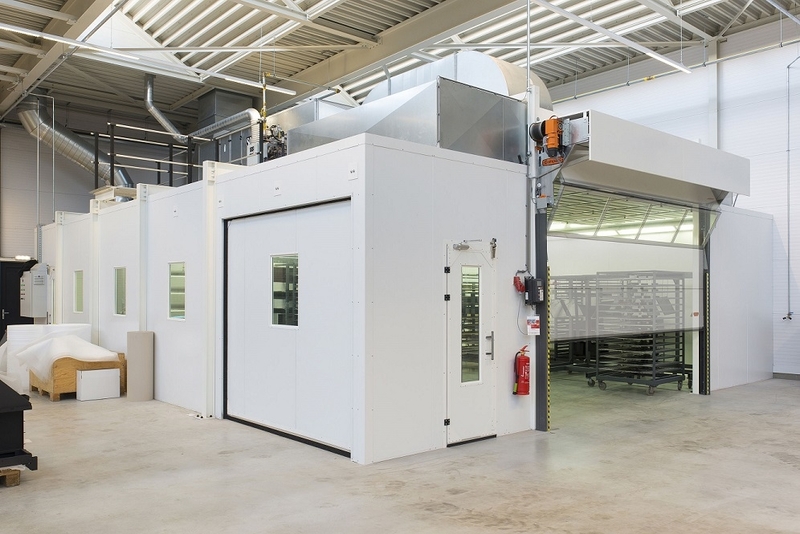 We also fit them with functions including automatic pressure relief control, pre-programmed intermediate and end drying, frequency controlled ventilators, filter monitoring and automatic energy SAVING setting. 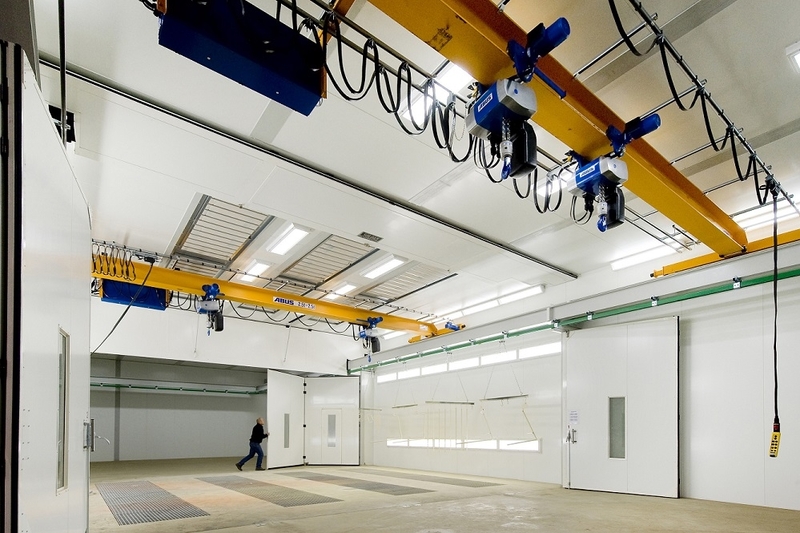 All these parameters are easy to control and read using our in-house developed control units. 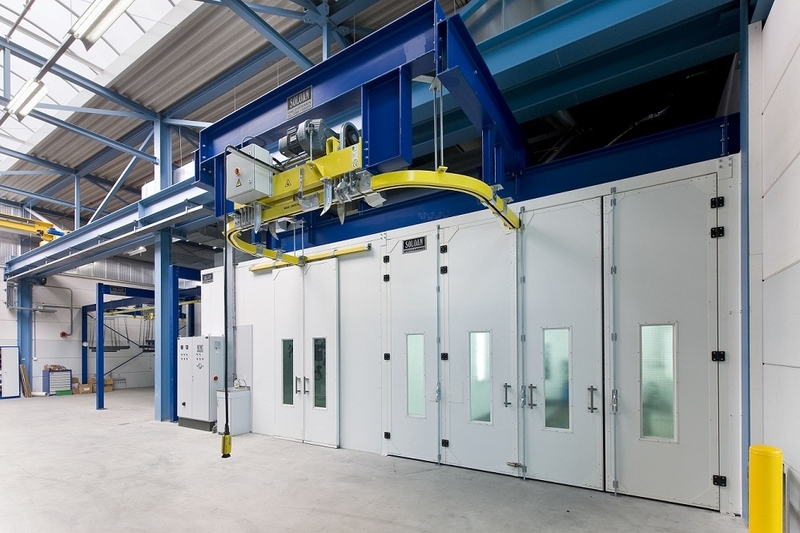 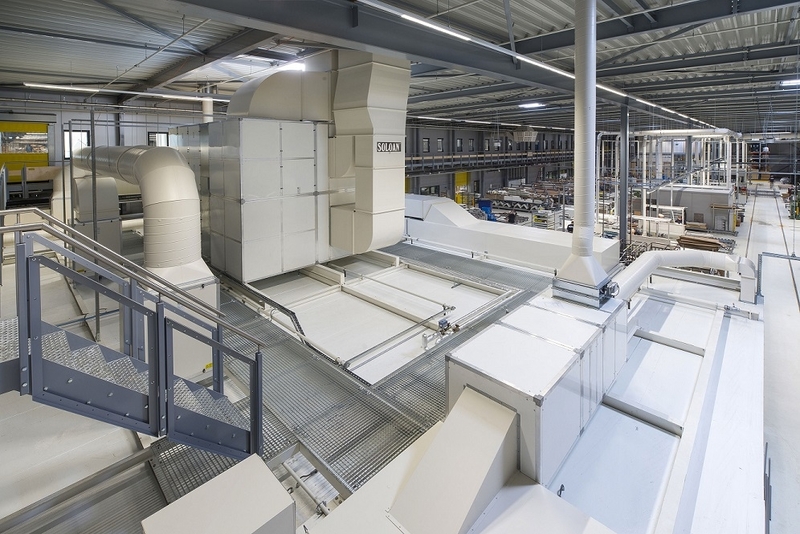 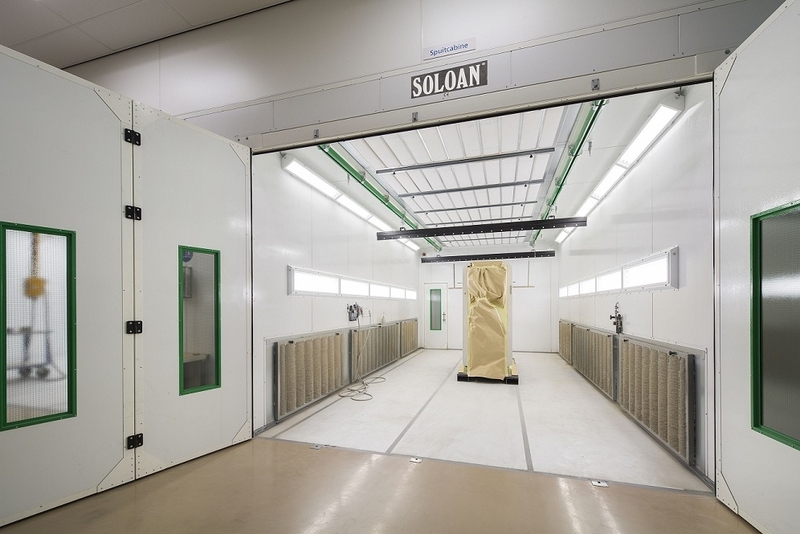 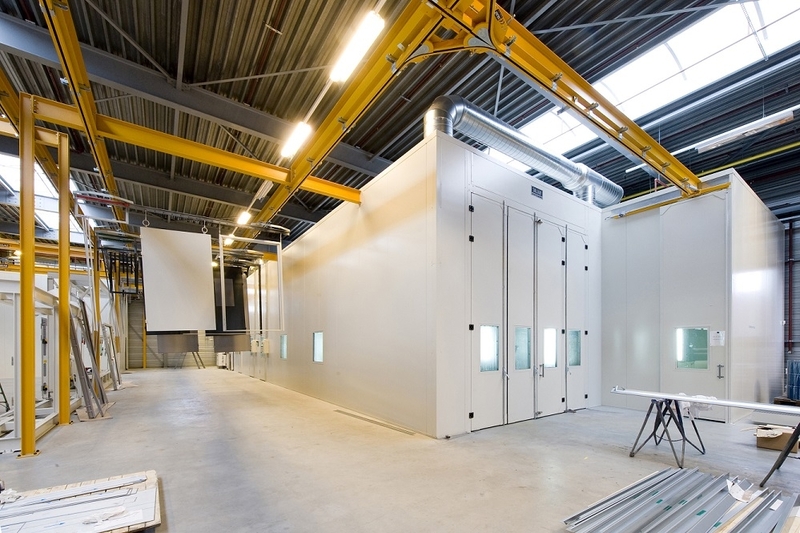 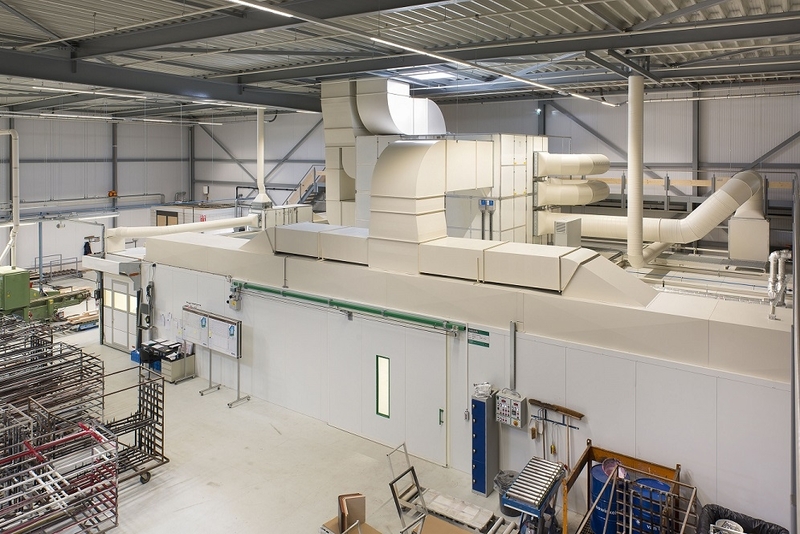 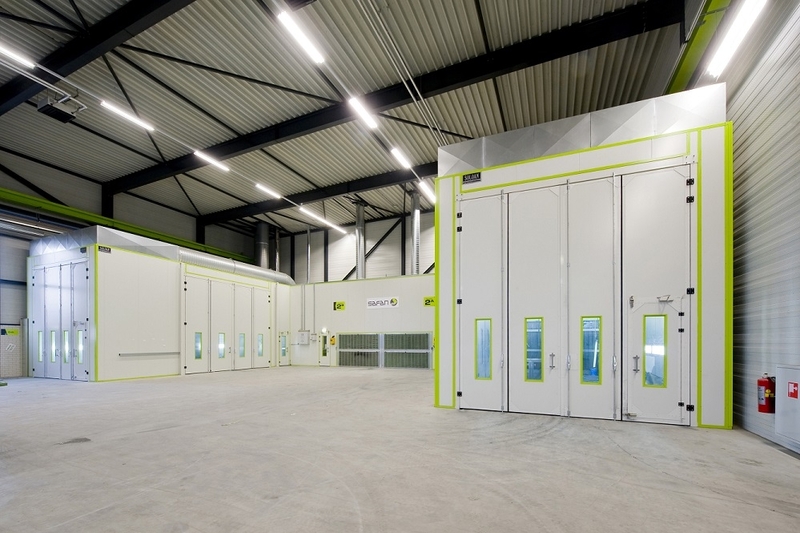 To reduce energy consumption, Soloan is the only company in the Netherlands that can fit your spray booth with automatic cleaning heat recovery wheels and counterflow plate heat exchangers. 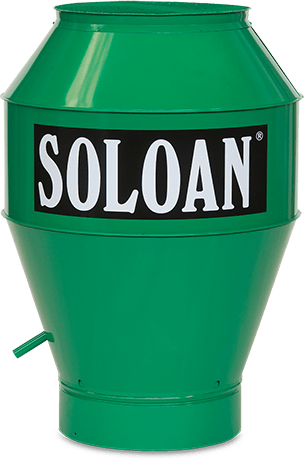 This saves you up to 80% energy and you achieve top returns. 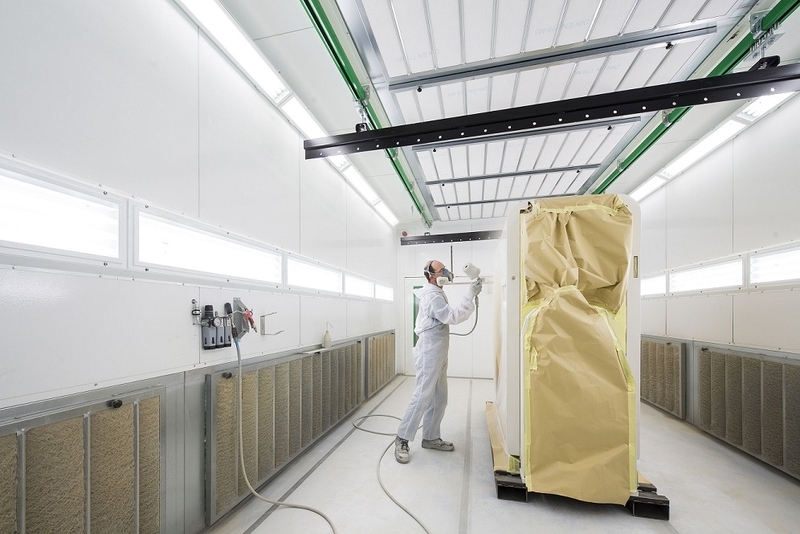 Besides this, we standard fit your installation with an Intermittent Recirculating System (IRS) or an automatic energy-efficient setting: When the sprayer is not using the spray gun, the installation automatically switches to the recirculating setting after about 3 minutes; as soon as the gun is used again, the installation immediately switches back to the spray setting. 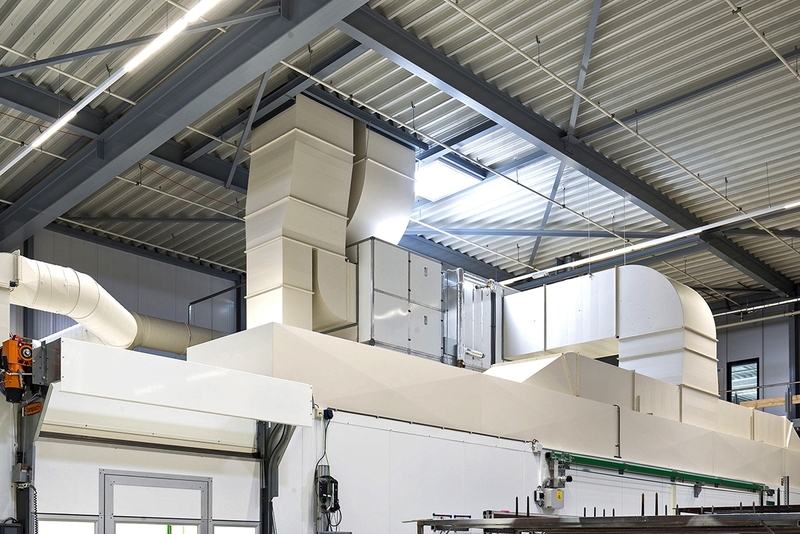 This generates an energy saving of 35 to 40%!